Most of us in California have smaller homes, built in the construction boom of the 70s-90s. In those days, the idea was to build a Brady Bunch house. Lots of smaller rooms off the long hallway, the entire house clad in oak. This house on the east end of Ventura was no exception. The couple who own the house have been there for decades, but they were feeling closed up and smothered. In coastal Southern California we live by the sunlight. Some days it's foggy and gray, some days it's bright and cheery, but our residential architecture hasn't always prioritized light. The small rooms and dark hallways we grew up with were a result of the compromises of architectural expediency vs integrity of design. In other words, it's cheaper to build it that way, good luck with the lighting. These lovely people, though, wanted to be able to enjoy the light their windows bring in without feeling cluttered in their main living space. 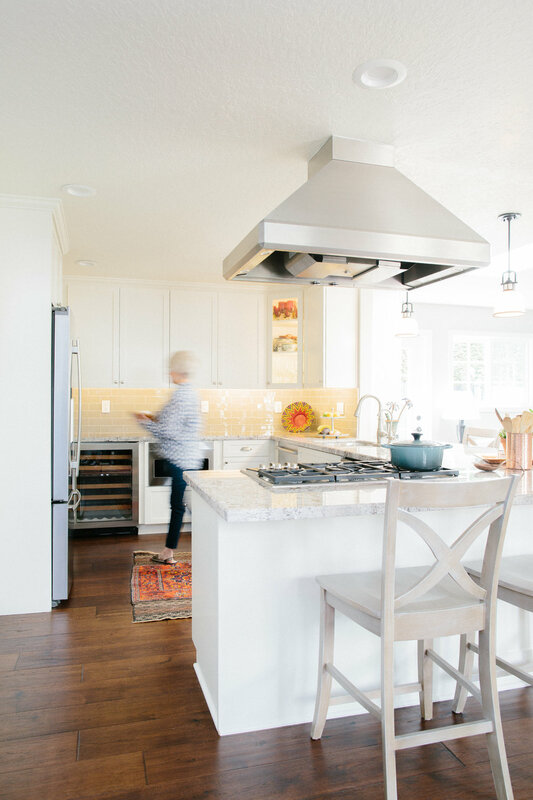 The first design priority was to remove a desk which had become a catch-all and locate their pantry in that area. This enabled us to open the kitchen, but still provide adequate storage for food items. Being an entertainer, a grandparent, and a parent means you accumulate a lot of stuff. And a lot of that stuff are things you need to play those roles. 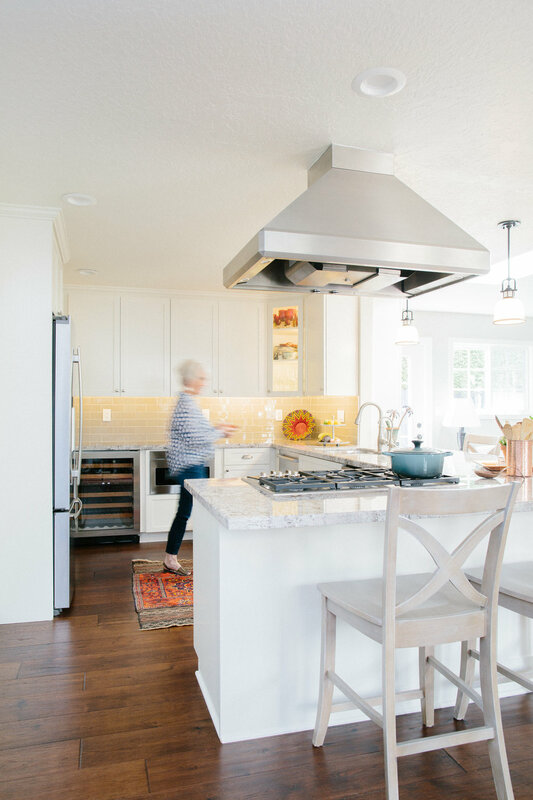 The design question became, how do we strategically store those things without cluttering the space we opened in the house? 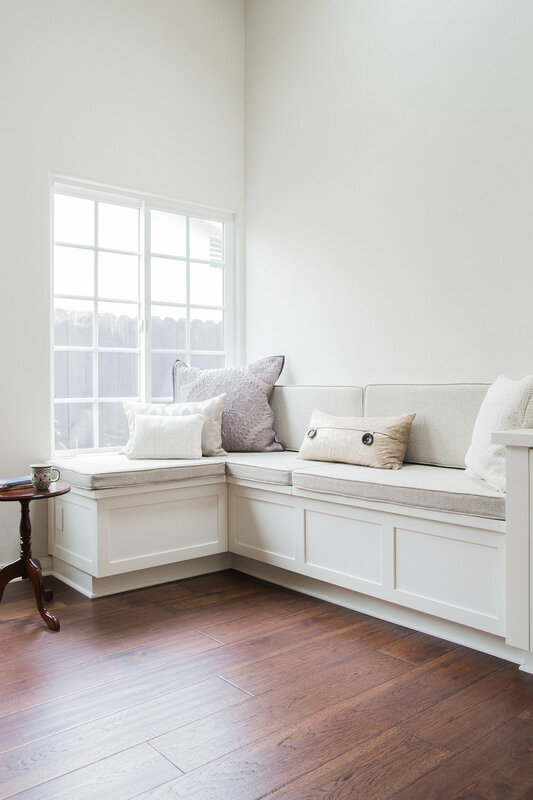 We built a couple of beautiful storage areas that had a display area above, and utilitarian storage below, and we integrated them into the living space. 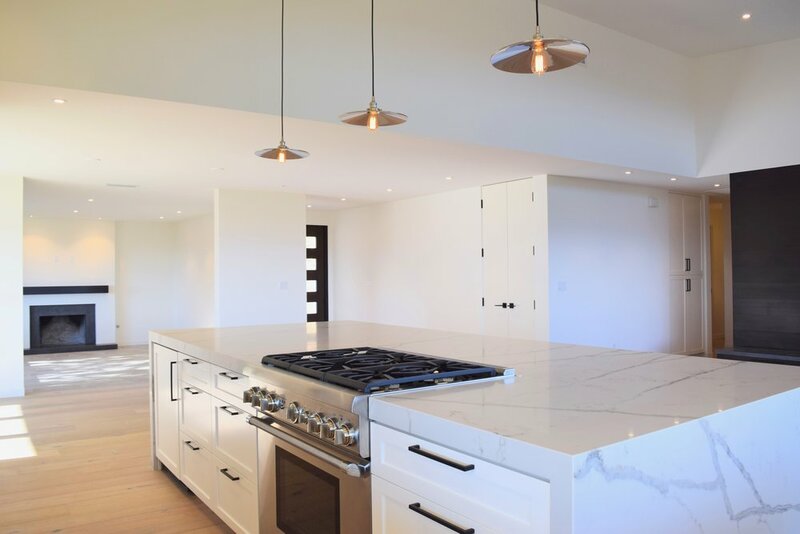 We worked with Olsen and Sons on this kitchen in Somis, CA. We're proud to collaborate with great builders on the Central Coast, and Olsen and Sons is no exception. But some materials are more durable than others. 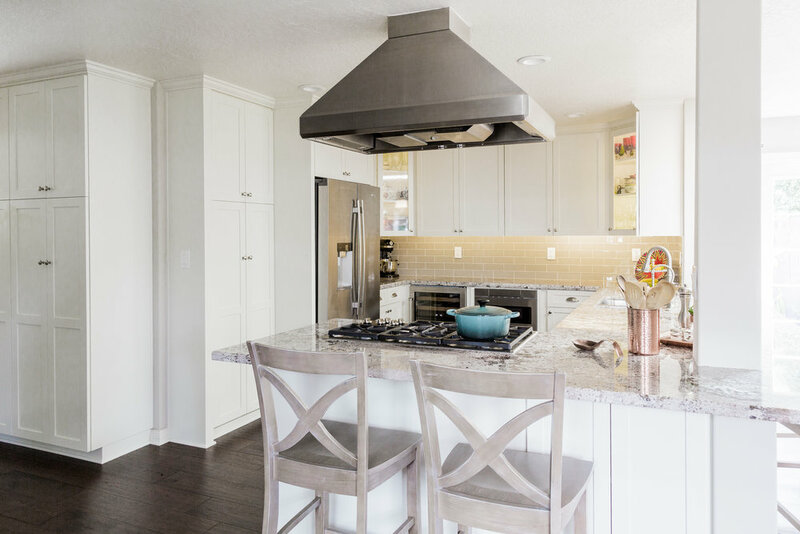 Some cabinet materials are better suited for having small kids or pets in the house. 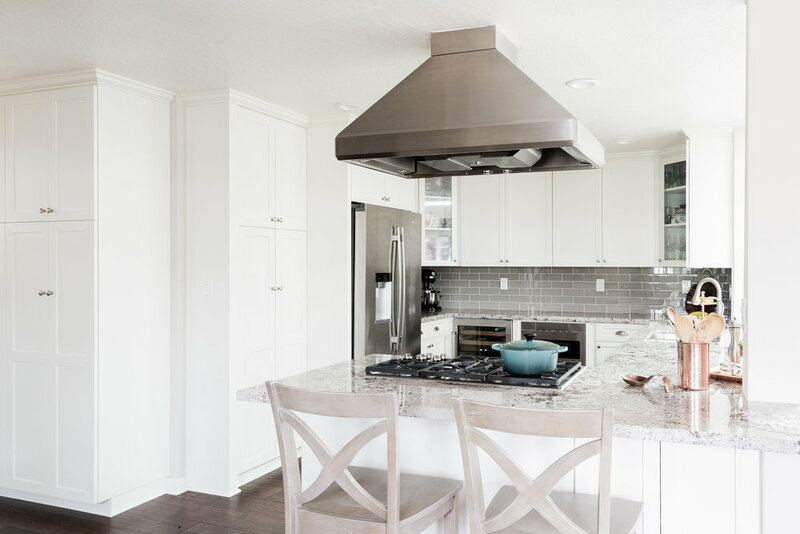 You may want to rethink those alder cabinets with applied molding, solid panel, doors if you have toddlers running around the house licking cookie batter off of spoons. 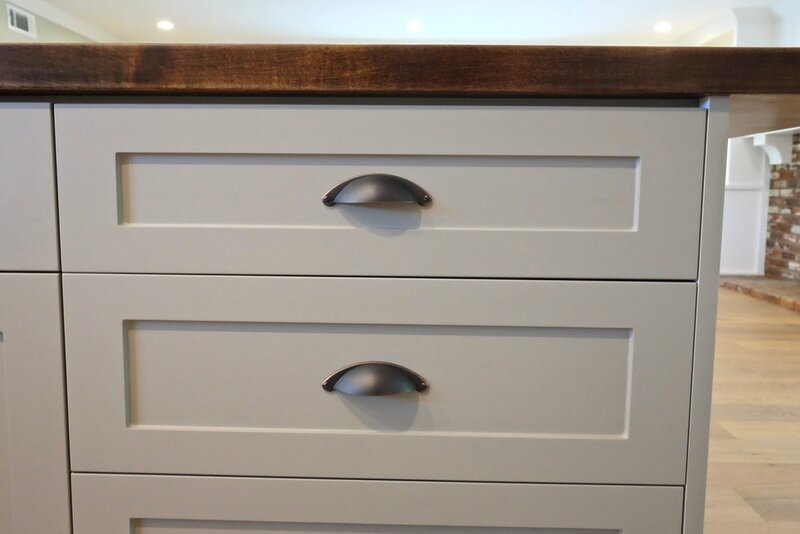 We all know those sticky fingers grasp doors and climb up drawers any way they can. 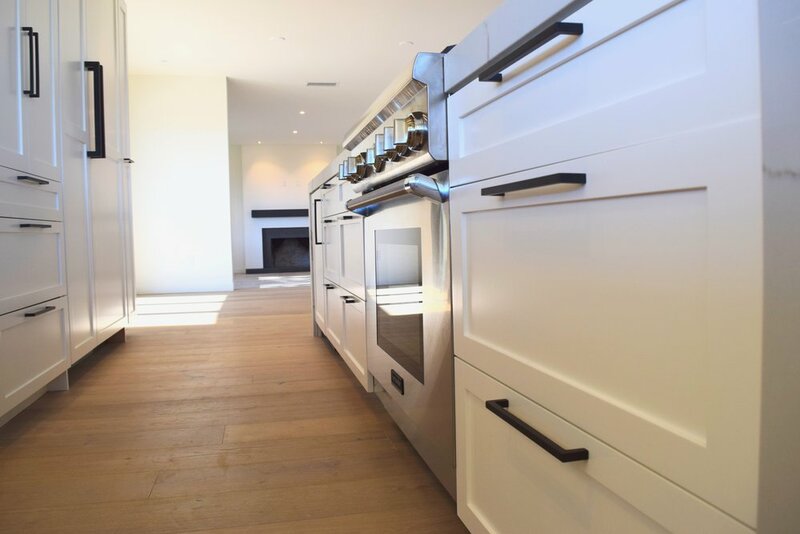 Here we are using "thermafoil" shaker style doors in a soft-white color. The thermafoil - which is a process that wraps an mdf door in a thick plastic foil, is designed for residential use and is really really durable. 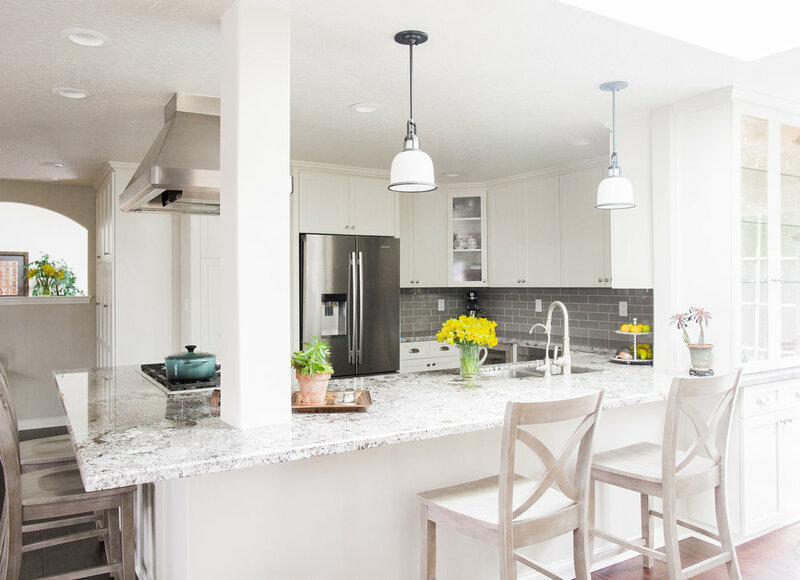 The thermafoil is intended to look like a natural material, but of course combining it with the natural floors and the butcher block countertop helped tie the look together and give it a "painted" shaker look and feel. 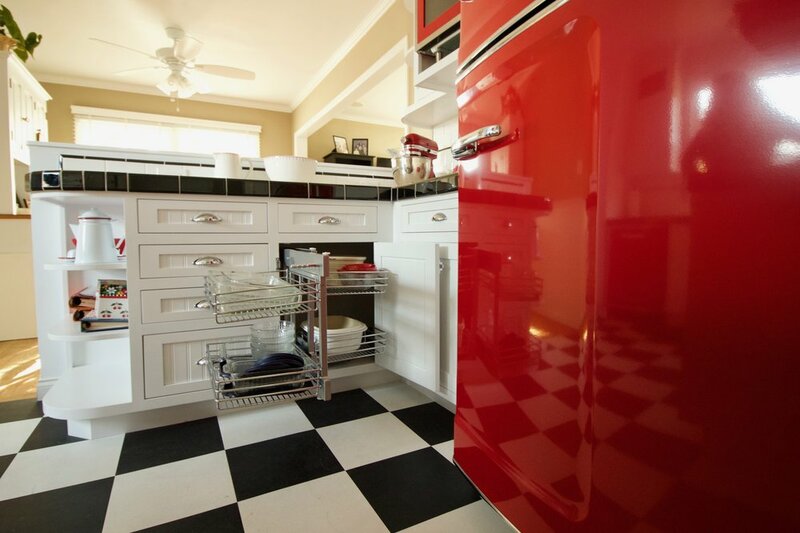 Check out more pictures from this kitchen below. We've been excited to share this home with you. The Ventura beach community of Pierpont is near and dear to our hearts, and this is a special installation for Native Oak. 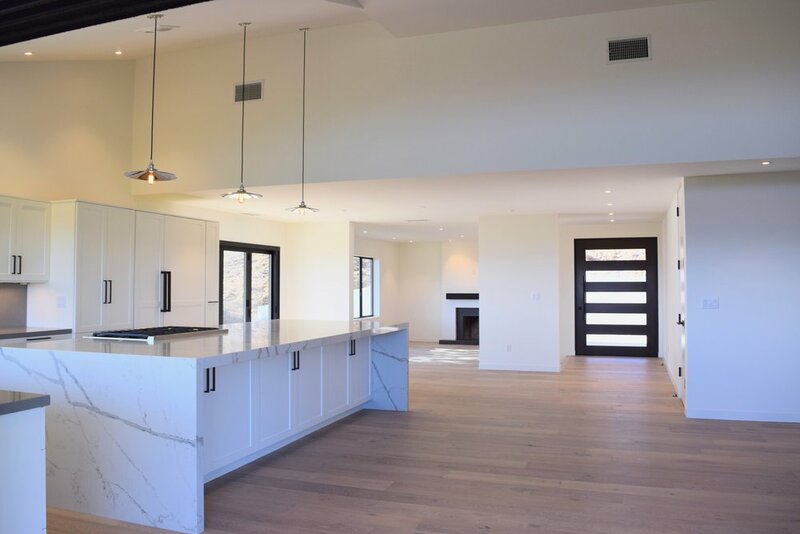 The timeline of this custom home echoes the timeline of Native Oak as a business, and we've been working with the owners from the very beginning. We decided to hire local rockstar photographer, Raya Carlisle, for the installation because we knew the photos needed to be perfect to convey the beauty, details, and the careful design that went into it. Our designers and owners were intimately involved in the layout and function of the kitchen, bathrooms, closets, pantry, and laundry. It was the vision of the owners that we were endeavoring to realize with our designs, and I think we were able to capture what they wanted in the end product. 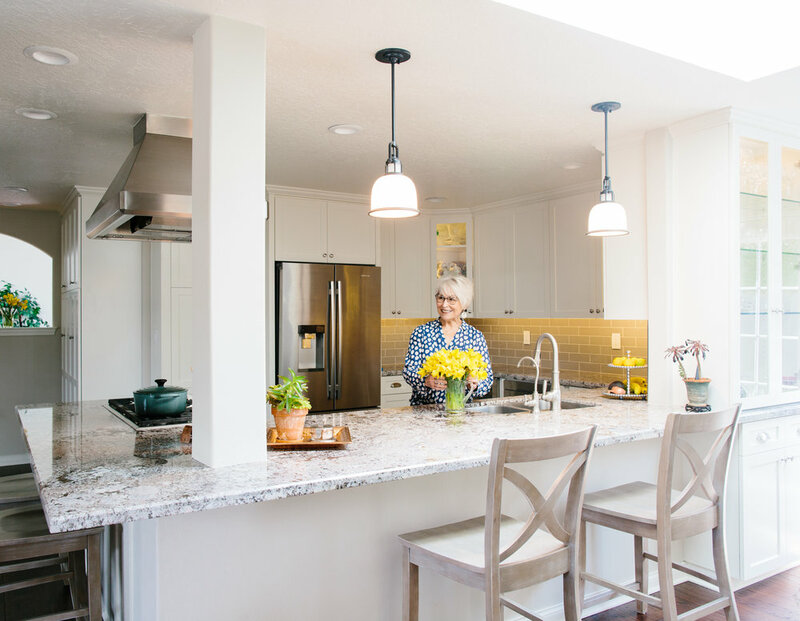 It was important to the owners that the kitchen not only seamlessly integrate with the house and be beautiful, but that it is functional as well. 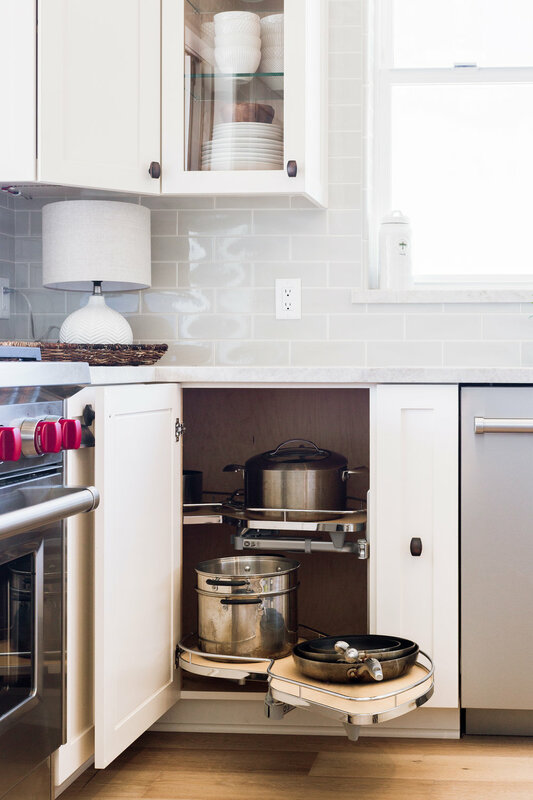 So we carefully planned to use some of the newest kitchen cabinet accessories to maximize their space. No one likes a dead corner. We used this pull-out to solve it. This customer knew what she wanted and it was not from this decade. 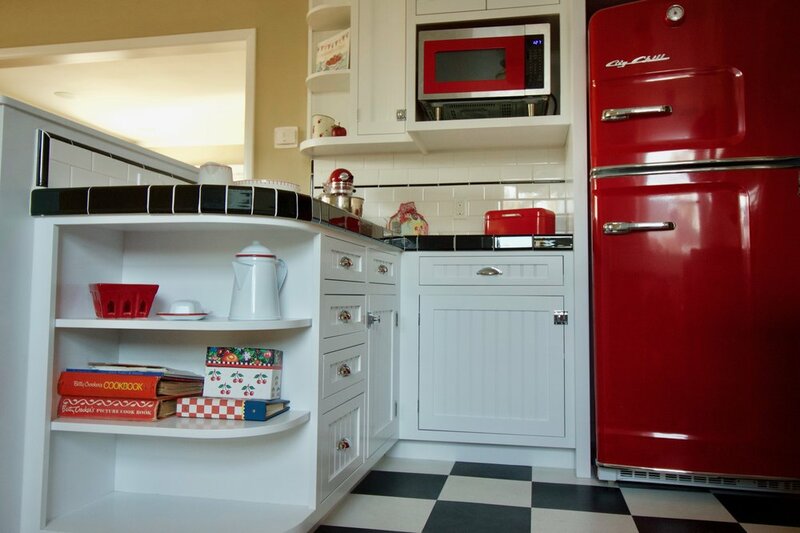 Featuring all new vintage looking Big Chill appliances in red, and inset face frame cabinets in white paint, this kitchen screams 1950s.